A premier shopping destination in the upper Midwest, West Acres Mall in Fargo, ND, is home to more than 120 stores. 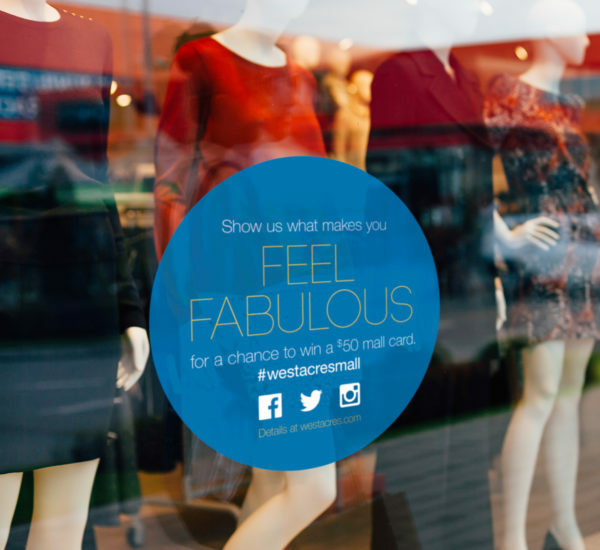 West Acres needed creative materials for its Feel Fabulous fall campaign, a promotion that asked shoppers to share on social what makes them feel fabulous for a chance to win a $50 mall gift card. Super Studio created online ads, a home page design, table tents and store window clings to draw attention to and garner participation in the Feel Fabulous fall campaign.